Together… Touching Hearts. Together… Saving Babies! 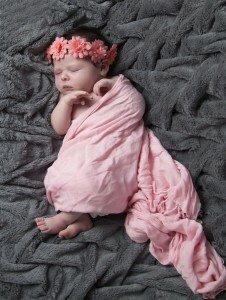 Baby Nikki (shown) is just one of the babies born to a Women’s Care Center mom in 2015. Our mission which is funded 100% by generous donors like you, helps women facing unexpected pregnancies choose life for their babies. We also help them have healthier pregnancies and become more nurturing parents. 1 in 12 babies born in Franklin County now start with us. Founded by a Catholic theologian, the unconditionally loving counseling model makes all the difference. After counseling and an ultrasound, 95% of our pregnant clients choose life. The non-clinical atmosphere and home-like, professionally decorated facilities help women feel truly welcomed and safe, the first steps in a choice for life. Parenting and self-sufficiency education is provided after a woman makes a choice for life. Cribs, car seats and new baby items are earned as an incentive for participation in classes and education – not a handout, but a hand-up! Strategically located on high visibility streets (935 E. Broad Street and 3273 E. Main Street) our centers have become a life-line for pregnant women in need. In the seven years since our opening, abortions in Franklin County have declined 37%. And best of all… the 1,617 babies born to Women’s Care Center Columbus moms in 2015 will one day fill 81 kindergarten classrooms! Please stop by our table to say hello and learn more about the special life-saving ministry of Women’s Care Center. What great organization!!! Babies are such a blessing!!!! !